Scoffing at an American tourist ordering grassfed beef can be the day’s highlight for a smug Kiwi. “Well of course it is!” we cry with haughty satisfaction “this is New Zealand, we don’t do ‘grain-fed’ here!’ We have pride that New Zealand Beef is strongly associated with a cliché of rolling pastures and grazing animals enjoying a blissful bovine experience. However, our self-righteousness may be somewhat misplaced. Many a proud New Zealander would be devastated to learn that the national treasure – a clean and green image – is being threatened by the operation of feedlots and intensified beef farming practises in the national agri-food system. Largely unbeknown, feedlots have been a beef provider for domestic and international destinations since the 1980s. The survival of the feedlot industry in New Zealand has, therefore, relied on its relative secrecy. A recent surge in media interest in this topic is creating a stir and raising valid concerns with intensive farming practises in NZ. This discovery forces us to examine wider cultural, economic, and environmental concerns that arise in debates over intensified farming practises, and how appropriate solutions can resolve conflicts and reconcile competing interests. Outrage is beginning to spill over as a variety of stakeholders quarrel over controversial ethical dimensions of feedlot farms. A steak is a steak, why should I care? The controversy lies within an inextricably linked web of ethical concerns. Key issues in this debate include: animal welfare, human health and environmental concerns. Yet those that are involved include farmers, environmentalists, animal welfare organisations, consumers, and the food industry (such as ANZCO). This ethical matrix of interwoven interests, combined with a very thin layer of New Zealand-based feedlot literature, makes conflict resolution and enforcement of legislation extremely difficult. The first issue raised against intensified animal farming practises is, of course, the welfare of the animal. In New Zealand, cattle typically spend 18 months grazing pasture before being moved to the feedlot where they are locked in square, uncovered pens, given vaccinations to prevent disease and fed a grain-based diet for anywhere from two and a half, to eight months. The grain-based diet, the inability to behave as ‘normal’ cows, and the potential diseases from being in such close confines are all issues that the media is pouncing upon to build a case against feedlot farming. The New Zealand Beef farming guide states that cattle generally have few health problems when well fed and managed under optimum grazing conditions (Geenty, 2017). Their guidelines state that sufficient feed and water, available shade and shelter, and space to behave normally are key to good cattle welfare. Feedlots are thus infringing these guidelines. 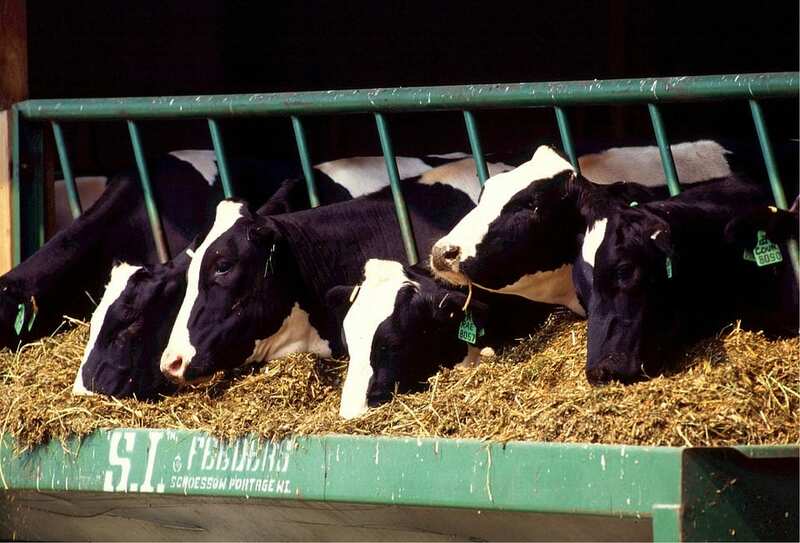 As ruminant animals, cows that are in feedlots are no longer eating the grass that they have evolved to eat, and can no longer display normal instincts of grazing, which they would normally do for up to eight hours a day. To offset some of these negative impacts, animals are vaccinated, or fed a number of antibiotics and medication. This inevitably stays in their meat and creates concern for human health. The knock-on effects of intensified farming practises on human health is becoming a more and more significant issue. Consumers can be affected by feedlot practises through eating the meat of feedlot-raised animals, or through the environmental effects of intensive farming systems. E.Coli, growth hormones, antibiotic-resistant bacteria, irradiated meat, traces of glyphosate (commonly known as Roundup) and even Mad Cow disease are valid apprehensions from eating feedlot beef. The most cited health concern is that the use of antibiotics in animals reared in feedlots selects for bacteria resistant to antibiotics used for humans (Philips et al, 2004). Although much of the science surrounding antibiotic resistance from meat to human is uncertain, there is undeniable evidence that resistant bacteria can contaminate animal-derived food. Granted, many of these concerns arise come from America, where 93% of their beef is raised on feedlots, but science does not yet understand the full extent of how we feed our sources of meat in turn affects our own health (Philips et al, 2004). We can only assume that New Zealand has more stringent regulations in regards to what feedlot cattle are consuming. Human health concerns are inextricably linked to environmental concerns. When animals graze on pasture, manure is dispersed across a large area and little management is needed, as the manure can decompose into the soil (Eghball and Power, 1994). However, when animals are concentrated in a small area, the quantity of manure needing management increases significantly. This nutrient-rich effluent could be devastating for nearby waterways and groundwater if not effectively removed and treated. Runoff from a feedlot may transport large quantities of organic matter, nutrients, and pathogens. This can cause eutrophication, algae blooms, and pose a threat to aquatic life, and can also pollute recreational and drinking water. A recent Gastro outbreak in the Hawkes Bay intensified the pressure on feedlots to be concerned with the effect of their runoff on waterways. Although the cause of the gastro outbreak was eventually confirmed as being caused by sheep faeces entering a bore that contributed to the town water supply, the spotlight was turned towards intensified farming practises that could contribute to similar outbreaks if their effluent is not properly managed. Many different stakeholders are involved in this debate. Historic competing interests between farmers, environmental groups, animal welfare organisations and the overlap of regional and national legislative bodies re-emerge and create conflict. Some see feedlots as polluting, unhealthy, intensified operations that endanger water quality and New Zealand’s clean green grass-fed image. Others see them as highly-managed, secure production systems that comply with water quality standards and animal welfare codes, and offer economic growth opportunities for the region around them. Many of these stakeholders are dependent on some aspect of feedlots for their livelihoods. Farming in New Zealand is becoming an increasingly difficult business in which to be economically viable. Regulations of farmers and their practises are becoming more stringent and often the costs to meet those regulations are unsubsidised. Farmers are turning to more intensified farming practises to diversify their economic options. However, farmers are also at the mercy of the very strong cultural values and attitudes of consumers. As one NZ Herald article stated; “any alternative [to pasture-based systems] can be seen by consumers as a betrayal of their values. Intensive farming feedlots, even if only used rarely and for short periods, can be seen by consumers as unnatural and therefore undesirable” (The Country, 2017). This shows how the public, and the power of consumers, is often driven by the media and the portrayal of cultural ideals of ‘clean and green’ food production. Farmers may not even want to intensify their practises, but are being forced to implement alternative farming practises – such as intensively wintering cattle – to increase dwindling profits. Consumer ideals are in a close relationship with environmental and animal welfare concerns, and therefore have a big say in this debate. Animal rights group SAFE recently released images and drone footage of the biggest feedlot in New Zealand. This evidence has been used to call for a ban on feedlots in New Zealand. Coincidentally, a NZ Media outlet released an article condemning feedlots, sponsored by Freedom Farms – a company that sells free range animal products. So although the media is not a direct stakeholder in this debate, they are highly influential as to how controversy is portrayed to the masses. Consumers are also being represented in their environmental concerns by groups such as Fish and Game, who speak for the environmental concerns of feedlots. Fish and Game want more stringent regulation and monitoring, as currently there is very little stopping more farmers from scaling up their operations to be more intensive. Therefore, as long as consumers see feedlots as a threat to animal welfare or the environment, they are considered unsustainable and therefore unacceptable. Some of the stakeholders wield a bit more power than others despite having less people power. ANZCO foods are one of the country’s largest exporters, and one of their brands – Wakanui Beef – is provided exclusively by the Five Star Beef Feedlot. This is the largest feedlot in NZ, and has been running since 1991. Ninety-eight percent of the beef from the Five Star Beef farm is exported overseas, mostly to Japan, although it is also sold extensively throughout New Zealand. Wakanui Beef poetically describes their operation on their website, claiming that their cows are ‘refreshed by breezes straight off the Pacific Ocean.’ Although the general manager of agriculture and livestock within ANZCO has stated that commercial feedlots are unlikely to become mainstream in New Zealand in the near future, potential buyers could be almost swayed into thinking that their beef consumption is almost doing a favour for the cows. And because they control so much of the beef exports, they have power to influence decision-making, and perhaps, evade their corporate responsibility to the New Zealand environment. Being a 100% Japanese owned company, they may not have the same sense of obligation to ensure best practice over profiteering. Intensive farming practises affect not only our domestic consumption and the quality of our exported beef, but also our own environment and water quality. Additional, and valid, concerns are that feedlot systems puts our international reputation at risk, which provides an international market advantage for our agricultural and horticultural exports. However, this conflict is exacerbated by media hype, and the fact that much of the literature focuses on overseas case studies, which are typically at a different scale and use different technology than NZ operations. In reality, cheap feed is not available in NZ, and our climate does not lend itself to feed production, so the feasibility of feedlots becoming mainstream is not high. A solution would have to encompass all elements of the concerns raised by those that are affected by changing farming practises in New Zealand – which, inadvertently, is all of us. Firstly, greater transparency of the production system could be a viable part of a solution. This not only creates an air of accountability, but also more closely connects the farmer to the customer. Consumers are increasingly calling for control and transparency over the production lines of their foods, particularly meat. Those that have unwittingly ordered ‘factory-farmed’ beef in a restaurant may be disgusted to learn that the cow that produced that steak had come from an intensive farming operation. Greater transparency means greater understanding of where from, why and how our food came to be on our plate. Secondly, more structured and strictly enforced rules and regulations of farming methods and practises could mean that there is less overlap between regional councils, and reduced environmental harm and human health concerns, while also keeping animal welfare groups happy. There are already good practice guidelines in place to provide practical solutions, such as ensuring that nitrogen and phosphorus is not lost through runoff and that the manure is collected, stored, transported and dispersed correctly to be used as fertiliser for surrounding farmland. Although consumers are the most numerous stakeholder, they do not always understand that the costs of changing farming practises and technologies is expensive, time-consuming and that the farmers themselves often foot the bill. Therefore, subsidising farmers to tidy up their practises would ensure greater uptake of regulations. Those stakeholders that are invested in this discussion have a long history of competing interests – few of which have been effectively or completely reconciled. A solution for one stakeholder may be in complete contradiction to the proposed solution of another stakeholder. A NZ Herald Country reporter sums this up; “As long as producers and consumers are seen to have incompatible cultural values, conflict resolution may remain elusive and largely immune to ‘evidence-based’ arguments. This does not necessarily mean that scientific research is being ignored or denied in favour of emotional responses, but rather that there is a breakdown in trust that there is a shared set of cultural values that will keep people fed, animals cared for, and the environment protected” (Houlbrooke, 2018). Reconciling stakeholder interests in the ethical matrix of our agri-food system when there are such a variety of viewpoints is difficult. Currently, consumers are more easily influenced by the media, and therefore are influential in decision-making. In this utilitarian scenario, the consumer is an unstoppable force against the farmers who, although often painted as the villains, are not necessarily the ones perpetuating an unsustainable farming system. Corporate responsibility is therefore another consideration that could ensure greater accountability and transparency in the agri-food system, by encouraging, or enforcing, large companies like ANZCO to be responsible for the effect they have on the environment. Thus perhaps a more egalitarian approach could be more successful, by putting more equal weighting on the different sectors of stakeholders, rather than the sheer numbers of the stakeholders themselves. As feedlots also touch on the nerve of environmentalists and animal welfare champions, a more sensitive ethical approach should be incorporated. Due to the multitude of stakeholders and those with concerns about the development and operation of feedlots, conflicts are hardly likely to be resolved to the point of 100% stakeholder satisfaction. Yet there are ways in which those with power can be held accountable to their practises, and there are ways that consumers, the media, and the government can support those in a way that encourages ethical, environmentally friendly practises to keep that steak on our plate as clean and green as possible. This article was prepared as part of a postgraduate course on Ethics and Governance in International Development directed by Professor Andreas Neef of the University of Auckland’s Development Studies programme. 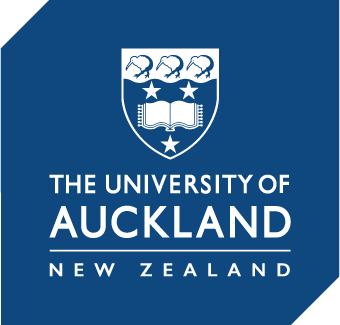 Madeline Shelling is a Postgraduate student in Geography at the University of Auckland.